John and Jane. Day 5. That sometimes she forgets commitments she made. I learned its hard for me to want to pursue someone who doesn't follow through on a plan we made because following through with your commitments is something I strive to do and value immensely. One. Because we didn’t spend any time together today. 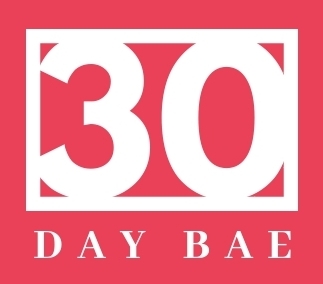 I'm wondering how the rest of the 30 days are going to be. It is frustrating. Three. Today was frustrating. We made plans for the weekend on Tuesday. My friend was having a Halloween Party on Friday and then we were going to go to her friends Halloween party on Saturday, who I also know. We talked about our plans everyday since Tuesday, even until this morning we were texting and talked about our plans today. We were going to get together at 5:00, go on a dinner date, go Halloween costume shopping, then head to the party at 8:00. At 4:00 pm she calls me and tells me that she forgot she committed to pick up her friend from the airport tonight. So she suggested that I head to the party by myself and we could do something when I got back. My friends party was in Lehi and I showed up alone. The party was great we played games and chatted and caught up. I didn't look at my phone and saw she text me asking how the party was. When I read the text I tried to FaceTime her but she didn't pick up. So I feel like I am being kind of immature talking about this. And I feel bad I don't want anything I say to come back and haunt her or me. I am reminded of The Mormon Bachelor show when the guy said he wasn't attracted to one of the girls and he got eaten a live on social media. I was concerned when I was first paired up with Jane that she would not be committed because we already knew each other. Unfortunately I have heard that others have the same concern. However, I was 100 percent open to the idea that things might be different during this experiment. I feel bad because I know she has no ill intentions or is doing this on purpose. If I didn't know her before or have an inclination that she forgets sometimes it would be a lot easier for me to be forgiving, but her forgetting to reply has happened before this experiment. It may be the debater Myers-Briggs personality in me that sees her side too. She was in a tricky situation. Either decision she has, she is going to bail on a previous commitment. I just don't understand when people have Uber they can get a ride home from the airport with a push of the button. Either way I feel bad that she was in a situation where she had to choose which commitment to fulfill. It is a lose lose situation for her. If we were "normal" boyfriend and girlfriend this would be something easy for me to talk about with her. As I have been advised to treat this as I am pursuing her, this is where I usually lose interest in someone. If we make plans and you bail an hour before its hard for me to want to pursue harder. That is probably a weakness of mine that I need to improve. If you have to bail because you forgot I also wonder what other commitments we make are going to fall through? Which I know is not thinking positive, which I need to work on. I found myself asking if I can trust that she won’t bail again. Wow I really feel like I am juvenile, tattle telling on her. Normally It would be no big deal and we would start going our separate ways but we can't do that because we have 25 days left. … Jane???? Are you there? We miss you. Jake and Emily. Day 6.